The DM6 drum-sound module is a compact electronic drum "brain" for triggering with virtually any set of electronic drum pads, triggers, or other MIDI controllers. This digital sound module features a completely new sound-set with 108 quality drum, cymbal, and percussion instruments; a sequencer with play-along tracks, metronome, recorder, mix-in jack for playing along with your iPod, and more! The DM6 module features an internal collection of top-notch drum, cymbal, and percussion instruments that will blow you away. You can edit and save your drum kits for custom sounds. You get 10 preset drum sets and 5 custom kits. In addition to the library of built-in sounds, the DM6 also has a USB output jack. By connecting the DM6 to your Mac or PC, you can send the notes you play out as MIDI signal, transforming the DM6 into a trigger-to-MIDI interface for use with with drum-module software such as BFD, Toontrack, or Reason. Imagine a limitless collection of sounds! The DM6 has stereo headphone and amplifier outputs so you can play quietly in phones or connect up and rock out. You can also connect your iPod or CD player and mix it in with the DM6's stereo input jack. 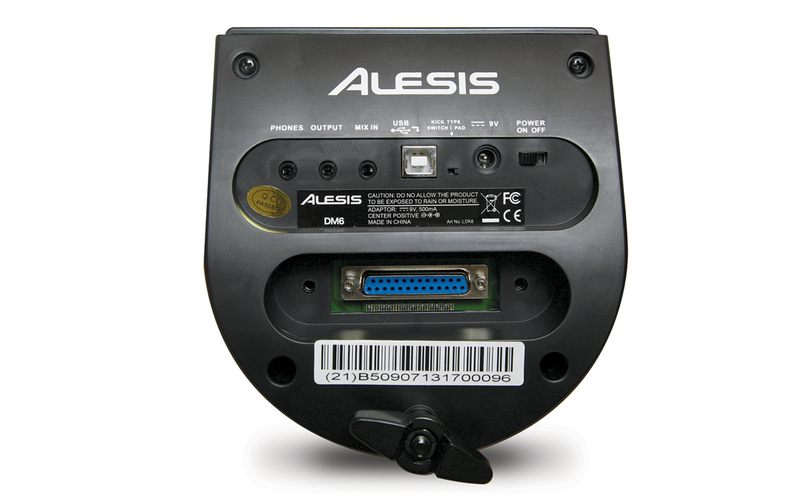 The DM6 has a multi-pin connector for easily connecting the included cable snake. You don't need to worry about matching up different cables with jacks. You get cable connections for three tom pads, hi-hat, crash, ride, kick, hi-hat pedal, and a dual-zone snare. 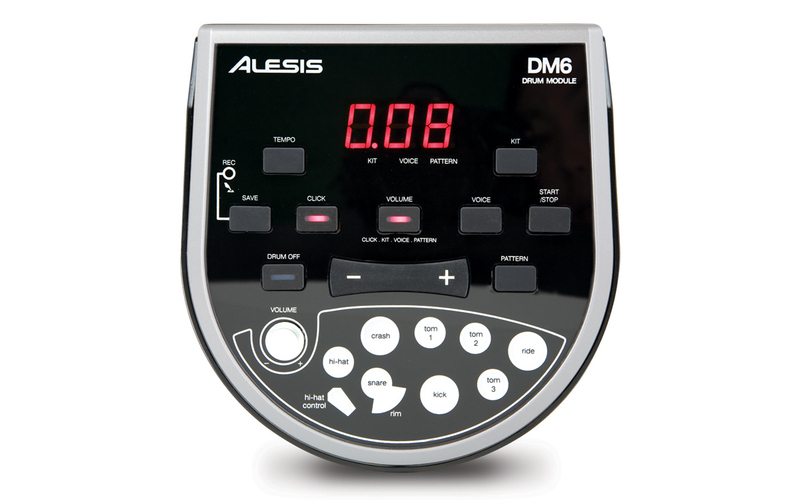 Enjoy great quality instruments and a full range of practice and performance features with the DM6 module.